Tour Tasmania with your own private group from 1-6 persons with choices of day, overnight or extended tours throughout Tasmania. Small private group from 1-6 persons with choice of day, overnight or extended tours throughout Tasmania. Our Tasmania private tours are about flexibility on the day with itineraries made to suit an unhurried pace. We offer extended tours covering all of Tasmania from 2 days to 2 weeks, or more. Cruise Ship Shore Excursions. We can make your day ashore in Hobart a highlight of your cruise. Overnight and Day Tours in Tasmania. We can also custom design a tour specifically for you. Some of our most popular tours. 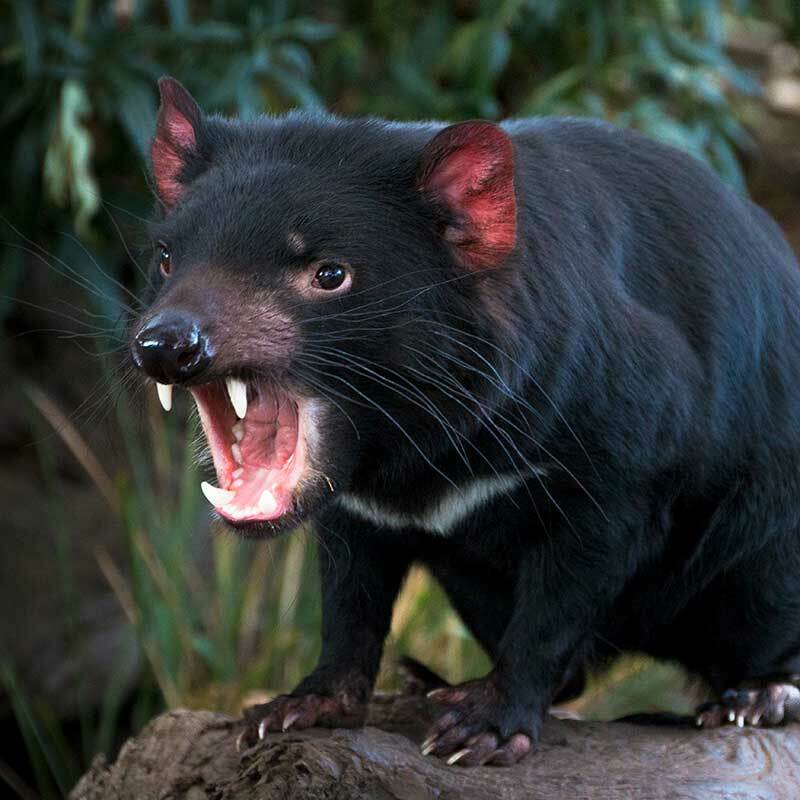 Begin your Tasmanian adventure today! Your tour starts with a drive through historic New Norfolk, passing through hop fields, apple orchards and berry farms to Mt Field National Park. Here you can have a couple of choices of walks depending on how long you wish to walk for. Russell Falls is a short 20-minute walk there and back or I can drop you off at the top of the big tree walk (30-45 minutes) where you can see 75 metre plus hardwood eucalypts, and blackwood, sassafras and myrtle through the park. You will also have the opportunity to view both the spectacular 'Horseshoe' and 'Russell Falls' (there are quite a few steps down). We will return to either the Park’s café or The Possum Shed Café, at Westerway, for a light lunch. Our final stop is the famous Bonorong Wildlife Sanctuary where you can hand feed kangaroos - get your photo taken with a koala and learn all about the Tasmanian Devil. 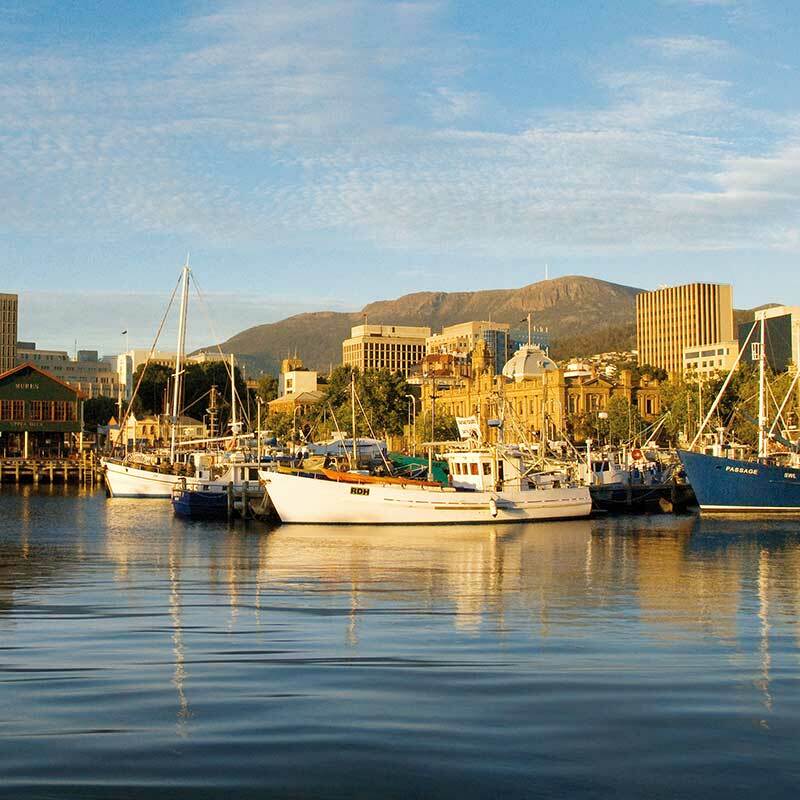 We return to Hobart to complete your tour. Your personal and private tour allows for flexibility in itineraries. We will drive to Freycinet NP via Kates Berry Farm with a fantastic array of local produce, berries, chocolates, jams and sauces, and panoramic views out to the magnificent Hazards. 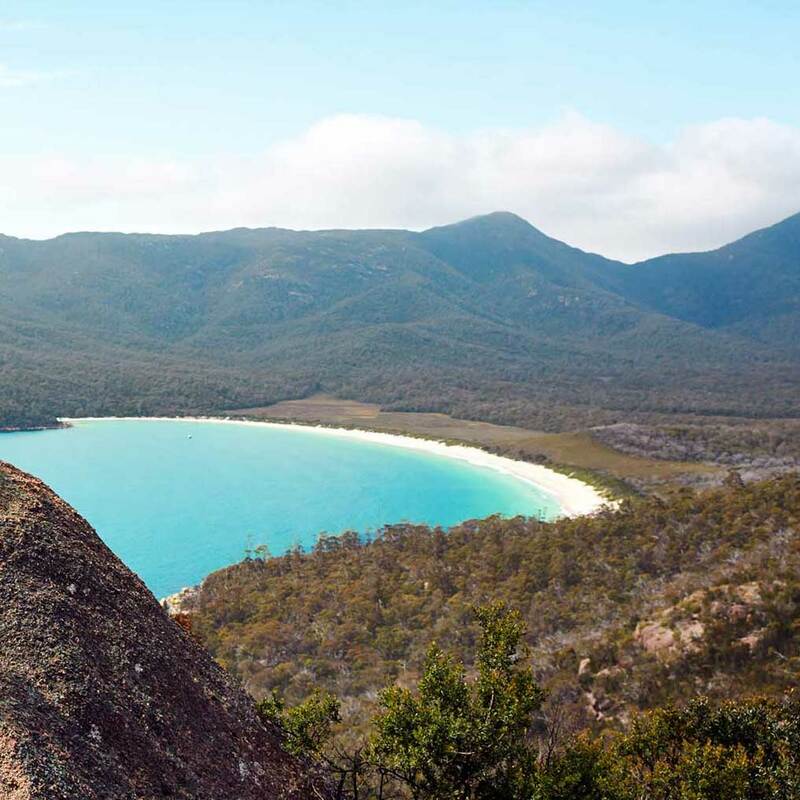 Freycinet National Park is your next stop where you can enjoy a 90-minute return walk to the Wineglass Bay Lookout and afterwards a drive to the Cape Tourville Lighthouse with stunning views. On the return journey we will visit the Freycinet Marine Farm where you could enjoy some beautiful local mussels and oysters, not to mention all the other wonderful seafood they have available for you. We will then make our way back to Hobart. Please note that all prices include National Park passes and GST. Rob is very knowledgeable about Tasmania and also local flora and fauna. We had a great day with great weather. Rob was a great driver and guide. Would highly recommend him. A wonderful trip in Tasmania for a week in April. Thanks to Rob's arrangement, comfortable car, lovely and warm B&B for accommodation. The first time to be so close to nature, wallaby, wombats are so cute. Our tour guide Rob was outstanding. He had a fantastic knowledge of the local area and not only did he take us to various places of outstanding natural beauty which we had requested, he also recommended other interesting stops including a local museum and chocolate factory. "Tasmania I-Drive" is great way to see Tasmania! Our tour guide "Rob" showed us around the surrounding countryside. He was informative and easy going. We all thoroughly enjoyed our day touring with him. We (an American couple) recently (December 2017) finished a private, personalized 4-day tour around Tasmania with Rob Cooper of Tasmania i-drive as our guide/driver. We couldn’t have asked for a better, more pleasant and accommodating guide/driver and highly recommend Rob Cooper and Tasmania i-drive. We would love to hear from you. Please call us or send us an email using the form below.